Counterfeiting in wine and spirits is nothing new. Every now and then, there is news of people falling seriously sick after consuming Counterfeit wine & spirits. Lots of people have lost their lives because of the consumption of counterfeit alcohol and spirits. As per the study by FICCI CASCADE, the alcohol industry registered revenue loss of INR 6309 in 2014 due to the fake products. Whereas revenue worth €1.3 billion (3.3%) is lost every year due to the presence of counterfeit products in the EU marketplace. Earlier, it was easier to identify the fake alcohol by their low-grade packaging. But now the counterfeiters have access to sophisticated label printing machines at a very economical cost, so they are able to imitate the original labels very closely. It has become very difficult to spot the difference without very minutely comparing original and fake packagings. Counterfeit alcoholic drinks are not adequately distilled and are manufactured in unhygienic setups. Many times the spirit is diluted using water and other ingredients. It may also contain some harmful chemicals that are mixed to create the similar taste as the original drink. 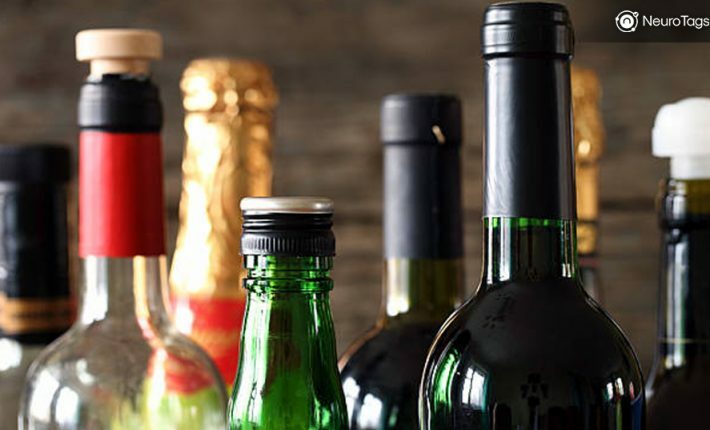 Fake alcoholic beverages often contain dangerous levels of methanol which may cause confusion, sore throat, difficulty breathing, seizures, or coma. High level of methanol may even cause blindness. To prevent the counterfeiting of wine and spirits, the manufacturers need to provide the buyers a way to identify their authentic products. They can do so by deploying foolproof anti-counterfeit solution by NeuroTags. NeuroTags provides a very simple, economical and easy to deploy Anti-Counterfeit solution to protect the Wine & Spirits brands against the counterfeiting. To solve this problem, NeuroTags offers algorithmically coupled crypto tags to be applied to the alcoholic beverage bottles and cans. Each crypto tag consists of two parts – open tag and protected tag. Open and protected tag are algorithmically coupled and unique for each product. These tags are backed by patent-pending technology & AI and can be scanned using any smartphone. The open part of the crypto tag can be scanned by the prospective buyer to check the product authenticity with a fair amount of certainty. The protected part of the tag is either hidden by the scratchable layer or kept inside the sealed packaging. The buyer has access to this part only after buying the product and can check the product genuineness with 100% certainty by scanning this tag. 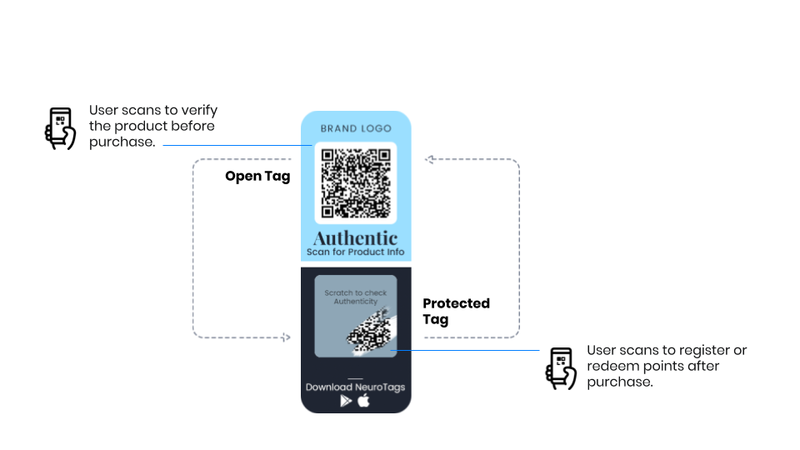 All the tag scans are monitored and protected by anomaly detection algorithm and AI on NeuroTags server in such a way that, if a counterfeiter tries to replicate the tags, the algorithm catches it and the products with copied tags get invalidated. In case a product’s tag scan is detected to be counterfeit, the user is directed to a screen where information about helpline numbers and ways to report the counterfeit can be found. NeuroTags Anti-Counterfeit solution also includes assistance in integrating the tagging solution on the brand’s current packaging line. More information about the solution can be found here.